PACLINE has designed numerous conveyor systems for inmate property storage in Correctional Institutions. This system is a compact, versatile storage and retrieval system which will maximize the use of any space. 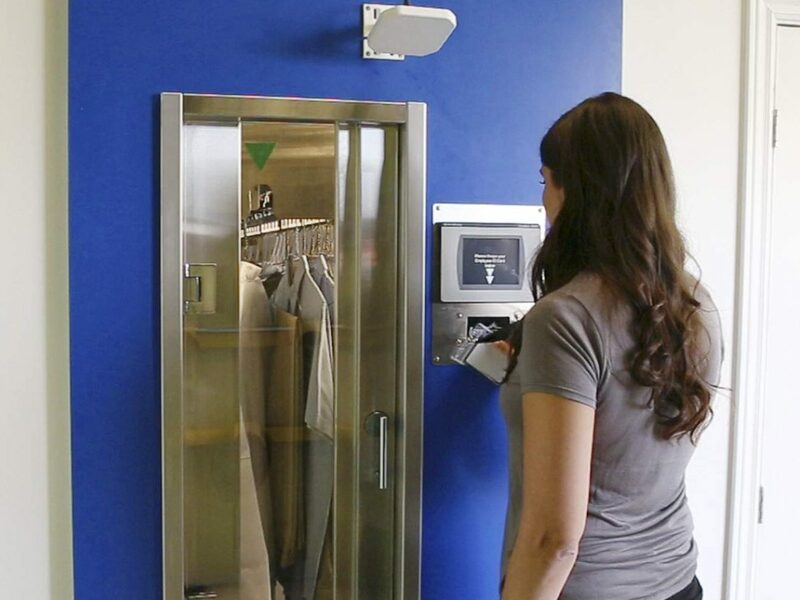 The garment handling system can be installed to utilize the overhead space, leaving the floor clear or on multi levels to double the capacity for storage. In hospitals, hotels, casinos, and resorts the PACLINE enclosed track garment conveyor provides a highly efficient, automatic storage and retrieval system for employee uniforms. The PACLINE uniform conveyor system reduces labor requirements and improves tracking and monitoring of uniform items using the latest RFID technology. 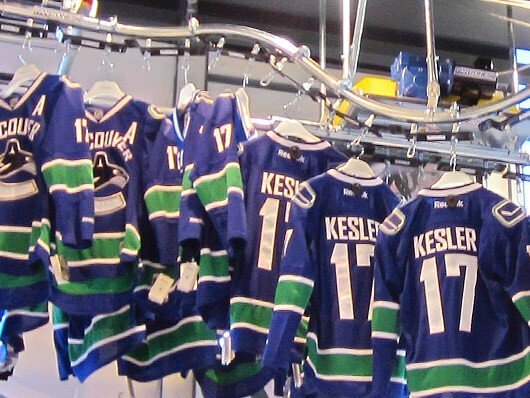 In retail settings, garment display conveyors are creative and unique – no two installations are ever the same. The PACLINE garment conveyor with its sleek tube-like enclosed track and tight radius curves can help provide moving displays that are not only far more eye-catching than static displays but highly functional. Pacline has installed garment storage and retrieval systems in a wide range of specialty locations and for an even wider variety of hanging garment items. 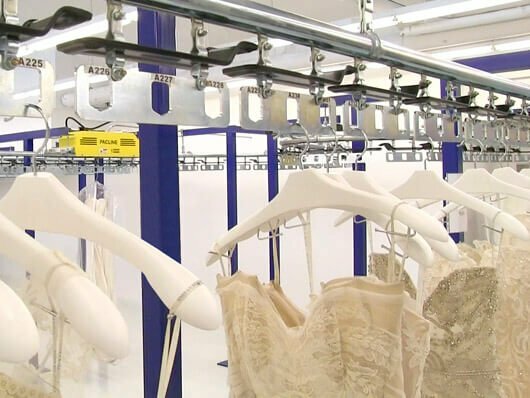 Items from Bridal Gowns in high-end salons and furs for long-term storage to costumes in theatres, and schools or art and other items in museums, can all be handled with the PACLINE storage and retrieval garment conveyor. 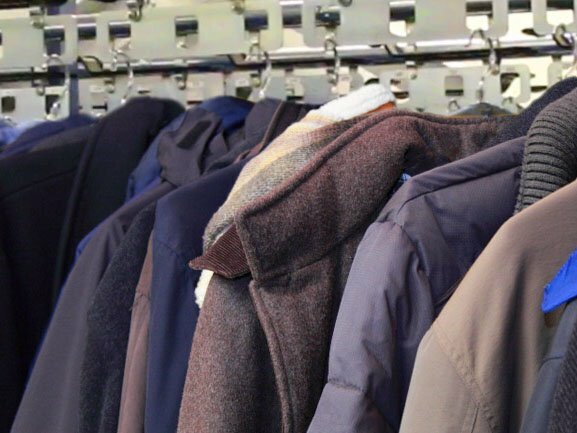 Coat and hat check rooms in facilities such a large restaurants, clubs, banquet halls and casinos can benefit from an automated garment retrieval system from Pacline. The PACLINE garment conveyor is compact and quiet. Also, the enclosed track design of the PACLINE system offers a level of safety that many other systems do not have. This feature is imperative in coat check systems to ensure the fingers of workers never come in contact with the chain mechanism.